I learned to do CPR as a teenager. One of my first jobs was working at a water park, and it was a requirement of every employee. I went on to become a lifeguard, and keeping my CPR card up was always a part of that job. As I moved on and took a job in a group home, I had to maintain that as well. And then I became a foster parent. Same thing. For much of my adult life, I have had to know CPR. Knowing how to do CPR is something I always took for granted. But when I had my own children, I was really grateful that, in the midst of all of the things I needed to learn as a parent, CPR with something I already had under my belt. Thankfully I never had to use it, but I’m glad I knew what to do if I ever found one of my children not breathing. It’s an important skill to have the parent, but I also think it’s a nice skill for every citizen to have. Cardiac arrest is a leading cause of death in the United States, and only about 46% of people who have a cardiac arrest outside of the hospital will get the help they need before professional help arrives. If you have ever had to call 911, you know that the response time is not always immediate, and a bystander knowing CPR can be the difference between life and death for some people. Learning CPR can feel daunting, and there are lots of barriers to taking classes, which can be several hours long. In order to increase public competency with CPR, the American Heart Association has created an instructional Infant CPR Anytime® personal learning program. 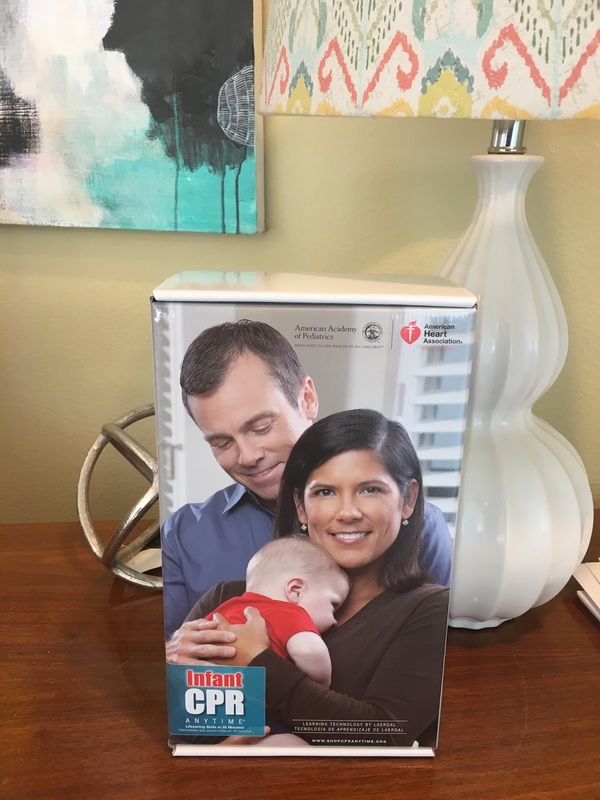 It allows parents and caregivers to learn how to do CPR in the comfort of their own home, using a self-instructional video format that teaches CPR and relief from choking for infants in a simple, step-by-step format. You can practice along with the video with a baby manikin, and you can learn CPR In as little as 20 minutes. It’s a self-directed program, and once you feel good with your skills, you can pass it along to family and friends. 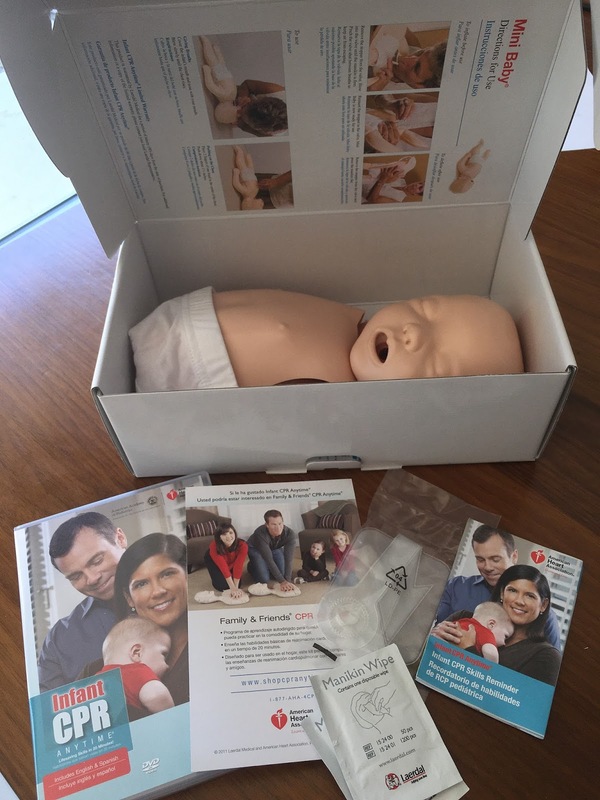 Infant CPR Anytime® is for new parents, grandparents, family members and anyone who wants to learn lifesaving infant CPR and choking skills but does not need a course completion card. I love that this kit is making CPR accessible to so many new parents who otherwise may not have signed up for a class. To learn more to or purchase a kit for yourself, click here.